Tiger Shark is equipped with 4 heatpipes and triple layers heatsink that offers power heat dissipation. TPE rubber covered fan allow Tiger Shark to run silently. 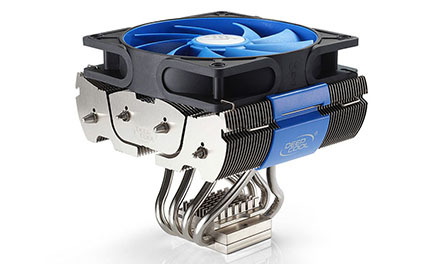 Tiger Shark is an ideal CPU thermal solution for multipurpose usage, either gaming or personal. Awesome appearance will sure create certain appreciation, recommended for visible side panel computer case owner. Nickle plated copper base gives perfect contact with the CPU surface. Dense nickel plated aluminum fins with big surface dissipate heat efficiently. 120mm PWM fan with TPE cover fan frame to absorb operating vibration and noise maximally. Cool the CPU and the surrounding components like Mainboard, memory card, chipset, etc. 130W solution, a perfect choice for overclockers.